Tough, high quality tips last a long time. Surface nubs ensure positive grip. Extra thick material at tip for longer wear. High grade rubber for added durability. 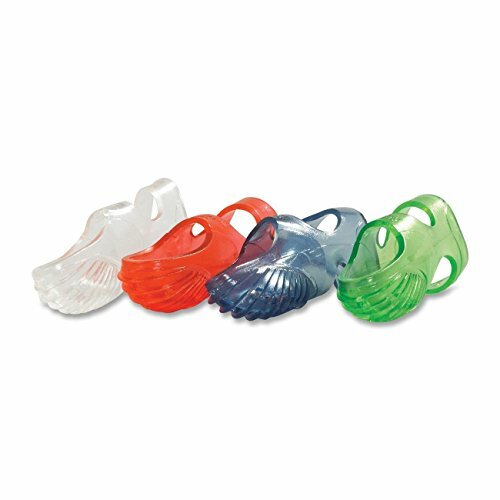 Material(s): Rubber; Size Group: 11 1/2; Medium; Open End Inside Diameter: 5/8 in; Color(s): Amber. 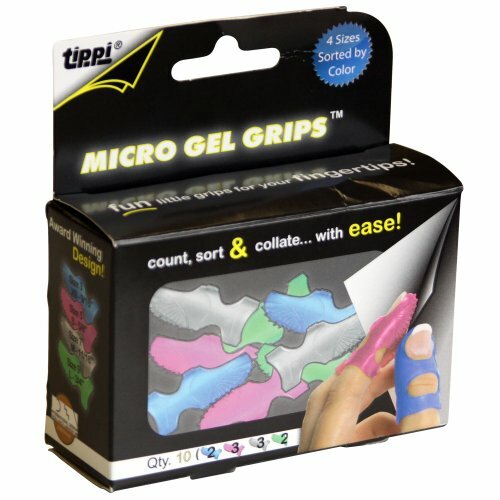 LEE Tippi Micro-Gel Fingertip Grips, Size 7, Medium, Assorted, 10/Pack Sort, collate, organize papers with ease. Durable, flexible material has unique friction ridges. Tippis increase hand performance and reduce muscle stress. 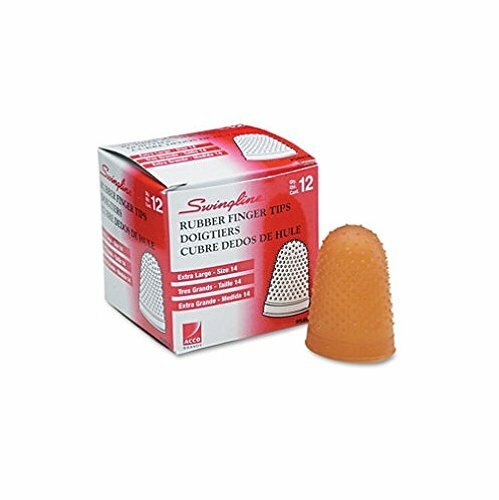 Latex-, silicone- free and PVC-free. Breathable, sweat-free and comfortable for long-term use. Open top works well with long fingernails. Order ring size for best fit. Material(s): Thermoplastic Elastomers(TPE); Size Group: 7; Medium; Open End Inside Diameter: 11/16"; Color(s): Assorted. Breathable, sweat-free and comfortable for long term use. Durable, flexible material has unique friction ridges. Tippis increase hand performance and reduce muscle stress. Order ring size for best fit. Tough, high quality tips last a long time. Surface nubs ensure positive grip. Extra thick material at tip for longer wear. High grade rubber for added durability. Material(s): Rubber; Size Group: 11; Small; Open End Inside Diameter: 9/16""; Color(s): Amber. Brand: Swingline | Manufacturer: ACCO BRANDS, INC. 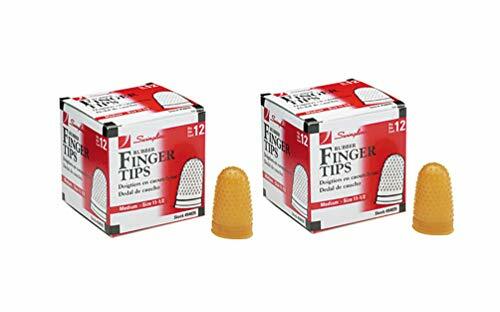 The Gripeez finger tip has a unique design that matched the natural contour of your finger. High grade material lasts four times longer than an ordinary rubber. Blue in color; one size fits all.